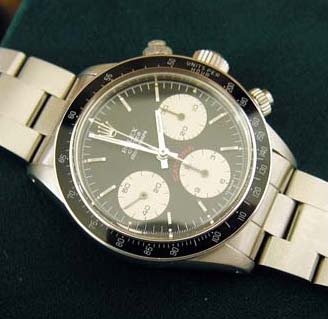 Used Rolex Daytona, vintage manual wind model dating to 1982. Vintage Rolex “BIG RED” Daytona, reference 6263. In today’s hyper-collectible vintage watch market, few watches have the ability to cause as much of a stir as the vintage Rolex Daytona’s do. Especially at this level of the market, condition and provenance becomes more of a significant factor. This watch has seen very light wear over the years and was bought from a local collector who knew the original owner. Every step has been taken to document the history of the watch. The watch no longer has the original papers but the original owner kept the box for storage. Hidden in the bottom of the box was the original Cosmograph booklet, a premium to many collectors. A copy of archive documents from Rolex showing the details of the watches’ most recent visit to Rolex and the details of the full factory service done in 2004. Following that, the watch returned to have a brand new Oyster bracelet installed, you will note that the green buckle sticker is still fitted on the watch. For the trained eye you will notice such subtle nuances as the original mint condition thin font acrylic bezel, the period correct bracelet model 78350/19 with original model endpieces ref 571. 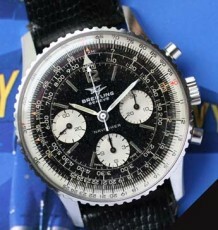 The dial combination of black background and large red Daytona is considered the most desirable non “Paul Newman” model. 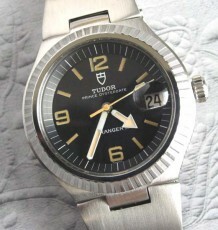 The dial is also signed T Swiss T showing it to be the original dial and not a new Luminova replacement. 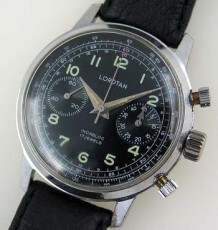 The only item worth mentioning on the dial is the luminous dot at 6 o’clock must have come dislodged at some point. This is hardly distracting and does not affect the value or esthetic of the watch. I only mention it in the interest of full disclosure. The watch was timed out at my local Rolex authorized dealer and showed to be +2 seconds/day, meaning the manual wind Valjoux 727 is still well within the factory specifications and running like new. The case is still largely intact and does not look to have been polished to any significant degree, as it still has thick fat lugs, all signs of very light wear by the original owner. I have had other examples of this significant model, but none with as many highlights as this. As I have always told collectors, with any model that you seek, try to find the best example you can afford as you can never truly rehabilitate a watch once it has been worn down. 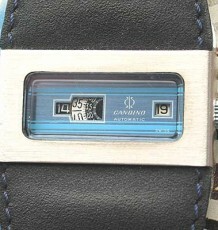 Today collectors pay a premium for original bezels, dials, hands and bracelets. The differences in dials configurations have become as significant as differences in coin collecting. Expect to a pay a premium for a mint condition, all original watch.